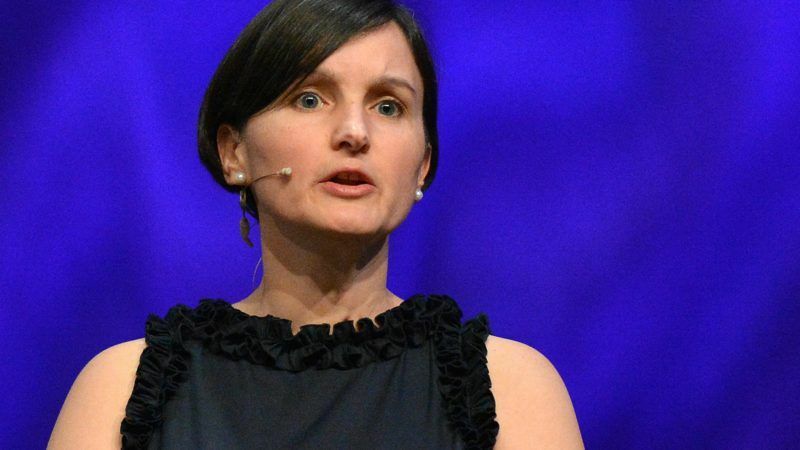 Sonja Chirico Indrebø is vice-president of Strategy and Innovation at Statoil, the Norwegian energy company. Between 2011 and 2015, she served as the chief information officer and senior vice-president for IT at the Norwegian company. She responded to questions from Pavol Szalai, EURACTIV Slovakia. One of Statoil’s projects to transport CO2 from the UK and the Netherlands in order to store it in Norway has been included in the latest list of EU Projects of Common Interest (PCI). These projects have high chances of obtaining EU funding. Why should the European taxpayers fund a Norwegian project of carbon capture and storage (CCS)? We have been storing CO2 in Norway for 25 years. We have built a lot of competence on how to store CO2 in a secure manner. And we believe the EU needs places to store CO2. In order to decarbonise electricity, we can go towards renewables, batteries and demand response. But for the industry that uses a lot of heat, it is very hard to go all-electric. And we already have the infrastructure for gas distribution to people’s homes, which we can reuse. If you take out the CO2 from natural gas, you get hydrogen that can be injected into the pipelines, without having to do a lot of changes to the infrastructure. It is a way of reducing costs for taxpayers, while not having to invest in brand new electricity grids for everything. What would the hydrogen serve for? A project in Leeds, UK, is investigating whether people’s homes can switch from natural gas to hydrogen. The natural gas comes to the UK at Teesside. We are helping them with a study to split natural gas into hydrogen and CO2, which can be stored underground. The pipelines are then reused for the clean hydrogen. Natural gas is basically methane. If you add water at high temperature, you lose approximately 20% of the energy after removing the CO2. In our PCI, the CO2 is shipped to Norway. The main things that have to change in people’s homes are the burner and the cooker. So this is an alternative to burning natural gas? Yes, and it is CO2-free. The only thing generated from burning hydrogen is water. But now we are talking about the heating sector, not industry. The low-heating sector are households, the high heat is in industry. Most industrial processes can reuse turbines and burners and switch the fuel from natural gas to hydrogen. For us, it would mean that natural gas would still have a home in the zero-carbon world. It also means that Europe doesn’t have to take out all the infrastructure it has invested in for decades and to start making a lot of high-voltage lines to distribute large amounts of electricity instead. What is the budget of the PCI project and how much do you hope to get from the EU? The project is a study about the viability of naval transport of CO2 from the UK and the Netherlands to Norway. But the big investment is in Norway, where the actual storage industry is built. The study itself is not a big investment. It is also important to ensure there are no legal barriers. The international rules say you cannot transport CO2 across borders. So through the PCI list, you also aim for the simplification of the regulatory process. Do you actually need the EU funding? We do. This is about building common CO2 infrastructure that will have to be shared. There is no way this can be done by one person, one company or one country. It is about sharing a common view about how the future will look like. The main hurdle for CCS projects has been the cost and the EU has already invested millions of euros into them. Isn’t the price of carbon just too low for CCS to succeed in the EU? Technology and cost are not the only reasons why projects have not succeeded. Most CCS projects have focused on power generation looking at how CO2 can be captured and sent away when coal is burned. This has been done in many dispersed places, which is why it has become very costly. We believe we can do this upstream when the CO2 is in large volumes. You are not interested in clean coal power? We don’t have competence in coal. Eurelectric President Francesco Starace said CCS “doesn’t work” and is “simply too expensive”. What would you tell him? When I came into the business, I also thought CCS was all about capturing CO2 from power plants. But I learnt that CCS can be done at different stages. In coal, you have to capture CO2 when it’s burnt. In natural gas, you don’t have to wait until it’s burnt, you can capture it earlier. Our CCS is not the one Mr Starace is talking about. This is not about developing a new technology and funding many elements. The technology is there, we are looking at making the whole system possible. That’s where we need the EU’s support. When can your CCS project be implemented on a large scale? In Norway, the government funds a project extracting CO2 from three industrial processes: fertiliser production, cement production and waste burning. The CO2 will be collected and transported to Norway’s west coast. Statoil will be responsible for the study on building the CCS plant and injecting the CO2 in one of our North Sea reservoirs. We have Shell and Total as partners. That project should be ready by 2023. By then we will have a harbour, where a ship can deposit CO2. The infrastructure will be in place and you will have to pay a price to deposit CO2 reflecting some of the capital costs, but avoiding the build-up of the whole value chain alone. That’s where the PCI comes in. The industries in Teesside and Eemshaven will also be able to deposit their CO2 in the Norwegian seabed. Isn’t it dangerous to store CO2 in the seabed or underground? We still haven’t found a proper solution to store underground other dangerous substances like spent nuclear fuel. The oil and gas we extract from the North Sea has been there millions of years. We are pumping it out because we found the way out. We are now using our 25-year competence to store CO2 under the seabed to monitor what happens to it. We can use the known reservoirs for depositing CO2. For us it is feasible, and we also have the support of Norway. Of course, we will have to do this is in a safe and secure way. On the European market, Statoil is in a tough competition with Gazprom, which is constantly increasing its share of the gas market. Do you think CCS will help you compete with the Russians? Our company’s vision is to be part of a low-carbon economy. We are not looking at our competitors. We have partners with us – Shell and Total – and it is important that industry sees the potential. It is not about keeping somebody else out. It would be natural in a market economy. Of course, the market will rule. But natural gas of any origin can be turned into hydrogen. Do you work on CCS and hydrogen projects with the Russians? No, we are mainly working with European companies. The Norwegian sovereign wealth fund has proposed to divest from the oil and gas sector. The Norwegian government is a majority shareholder of Statoil. Doesn’t this proposal undermine your future? The fund has shares only outside Norway as far as I know, it has not invested in Statoil. Norway as a country owns 67% of Statoil. It has already invested in oil and gas, but also renewables that we develop. The fund wants to reduce the risk by diversifying to other sectors. You should ask the fund why they are doing it. You don’t think this is a negative signal for your business? Our business will have to prove that it is part of the future. We want to be at the forefront of the energy transformation. By 2030, there is a potential for 15 to 20% of our capital investment to go into the low-carbon side of our business, including CCS and renewables. The European Commission has proposed capping capacity mechanisms – or subsidies – for power plants emitting less than 550g of C02 per kilowatt hour. Is this an issue for Statoil? We are very positive about the carbon price. It allows to make long-term choices. The 550g of CO2/kWh limit is a good idea. Statoil has made a lot of progress on offshore floating wind turbines. Last October, you launched the commercial operation of a major new wind park near the Scottish coast. What are the economics behind this renewable energy project? Bottom-fixed offshore wind price has dropped quite fast. The reason is technology – larger turbines catching more wind –, industrialisation – a larger portfolio driving down the supply chain cost –, volume scale, auctions, and many small things. The floating technology is based on our oil-and-gas experience. Although bottom-fixed wind has become a big solution for Europe, not every country has the necessary low seabed conditions. The threshold is 50 metres. Scotland has deeper waters. The floating wind turbines can go to the depth of up to 700 metres. Thanks to them, you can cover a much bigger part of the ocean and bring its energy onshore. Most of the largest electricity consumers are coastal countries. The cost developments from the bottom-fixed wind are also happening in the floating wind. There are 18 GW of bottom-fixed, but only 30 MW of floating turbines, which is our project. What is the cost in Scotland? We received more subsidies than you would normally see. But from the prototype turbine in Norway launched in 2009 to the wind park in Scotland we have reduced costs by 60 – 70%. Another project of 100 MW would allow us to make further cost reductions by 40 – 50%. Subsidies will go down. But floating wind will create a bigger market. It can be used outside France, on all of Norway’s shores, on the US West Coast, in Japan. The floating turbine is 250 metres high, twice the onshore turbine. But its capacity is threefold – 6 MW. How much is the investment for one turbine in Scotland compared to onshore? It’s more expensive, but the costs of offshore and onshore are coming closer. The benefit of onshore is easy accessibility and maintenance. Offshore is a complex project including marine logistics. Hence, it is more expensive. But you can go bigger and bigger because there are no limitations of blades transported on roads, or wind turbines being close to somebody. So there is a potential for growth. We believe that by 2030 the cost of floating wind per MWh can go down to 40 – 60 euros. In the very long term, floating wind will be cheaper than bottom-fixed.